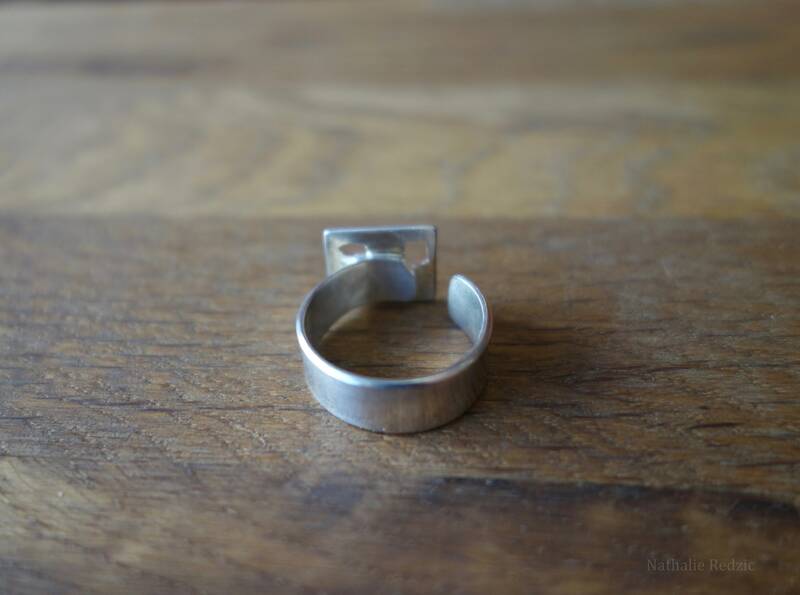 Asymmetrical open woman sterling silver ring. 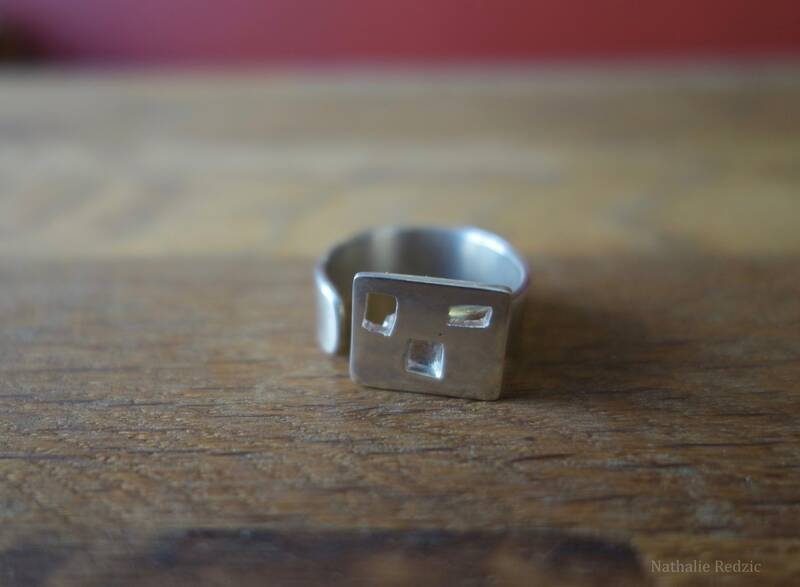 Open and asymmetrical silver 950/1000 silver ring. 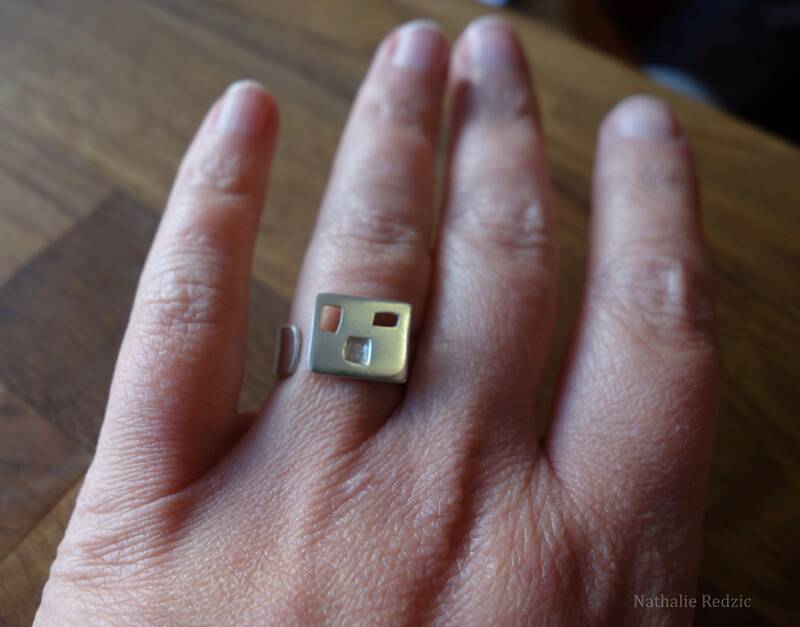 Contemporary and sleek look. 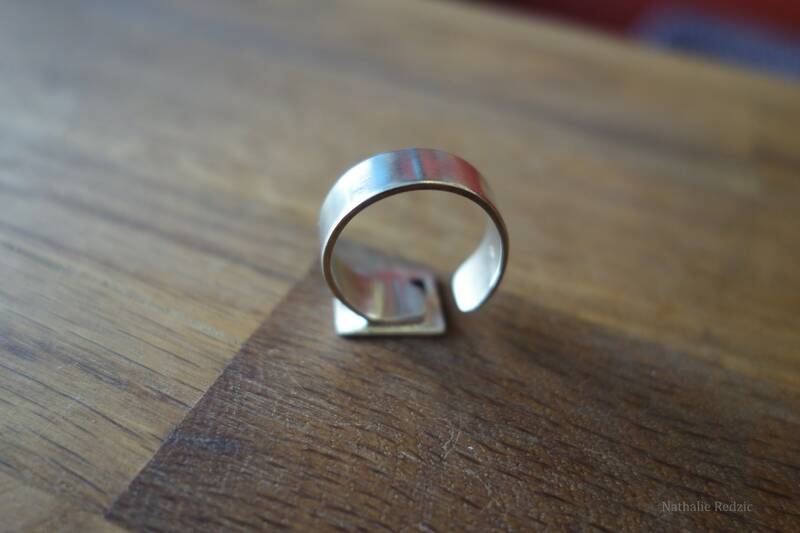 This ring is a size 54, it can be slightly adjusted if necessary. 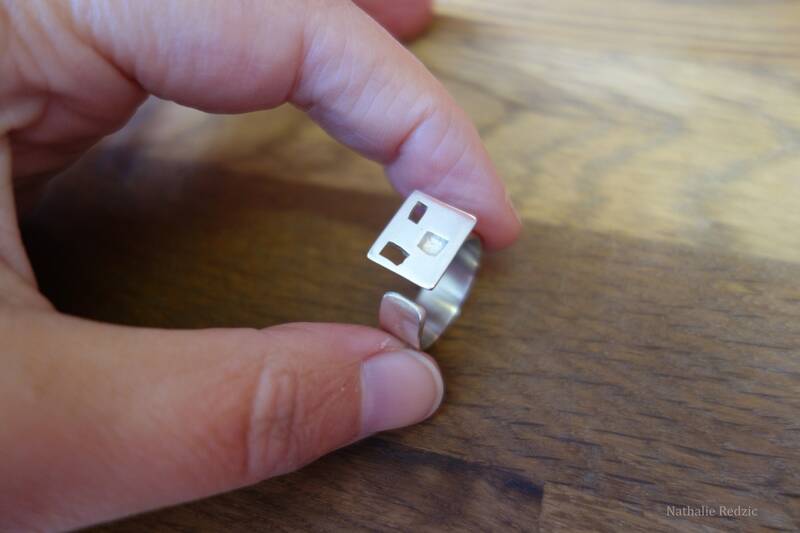 The rectangle measures 1.25 cm wide and 1.1 cm high, the width of ring measures 6.5 mm in thickness 1 mm. 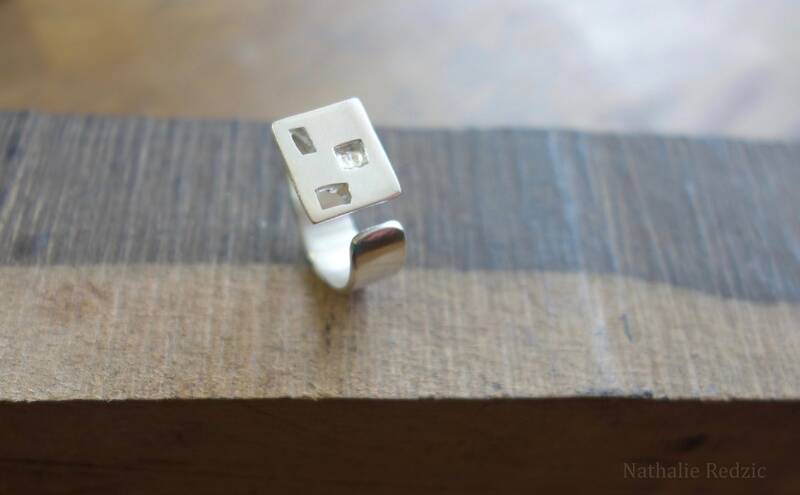 This gem has been entirely created and handmade in the Studio in one piece, it is hallmarked. 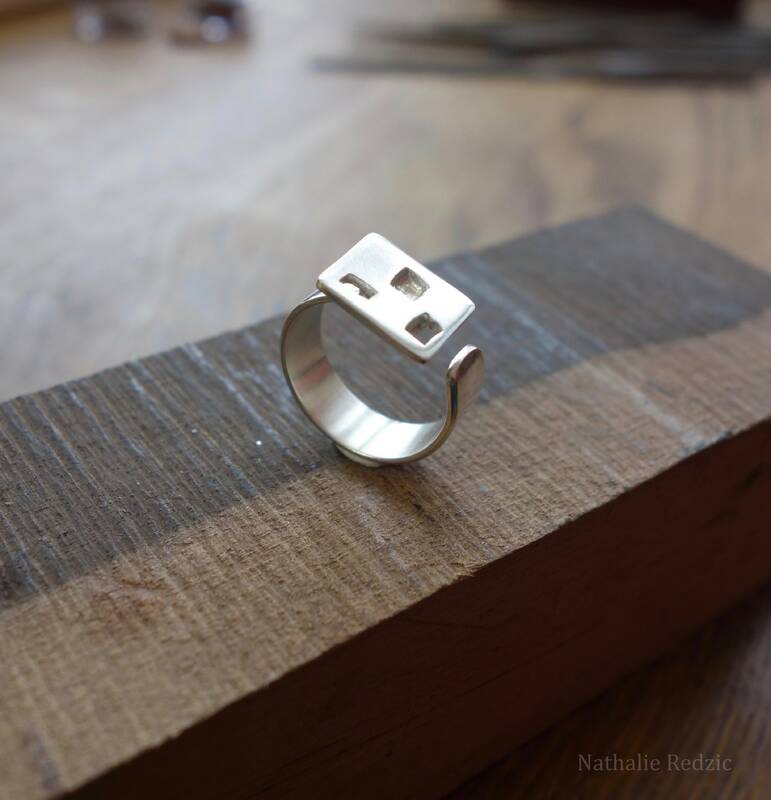 This beautiful ring will be shipped in a beautiful box.